The Ninja were masters of stealth and silence, and they trained techniques day and night to ensure they were masters at the art of being unseen and unheard. It was through rigorous training the ninja were able to successfully ensure that every ninja would acquire the necessary skills to be stealthy and effective. 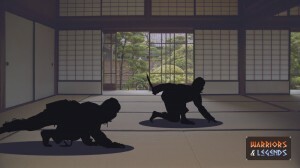 The training covered by the ninja would cover various areas, from hiding techniques, allowing them to remain unseen to walking techniques that enabled them to be silent in any environment. We will explore the various methods and systems the ninja employed to master their stealth techniques. Essential to any ninja was the ability to conceal oneself at a moments notice. Whether the ninja was indoors or outdoors this ability was paramount, but typically these techniques were designed to work in the outdoors. To utilize the Uzura-gakure was to crouch down and place your arms in front of your face and your head down. This position in darkness would leave the ninja looking simply like a traditional Japanese garden stone. To hide using kannon-gakure was to press your body close to the wall, cover your face with your arm and to practise your ninja breathing techniques to slow your heart and silence your movements. To hide using tanuki-gakure was simply to look for the nearest suitable tree. The goal was too choose a big, and leafy tree and to quickly and quietly climb and hide within a dense patch. It was advisable when in place to stay incredibly still and it was common for the ninja to employ slow breathing techniques. 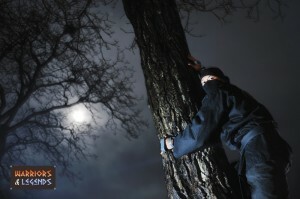 A ninja warrior using their stealth techniques to keep themselves hidden at night. To successfully break into a target building or location, and to achieve a mission would often require the use of silent movement. the ninja were of course highly aware of this and practised many walking techniques that enabled them to traverse a diverse mix of situations and environments. We will detail all these methods below. The primary walking move, the shinobi-ashi was to walk carefully and with poise, first placing the fourth, then middle toe on the ground and smoothly rolling down to the heel. The shinobi-ashi was a great walk when time was in abundance, as the gentle and flowing nature of the foot roll allowed almost silent movement. To utilise uki-ashi or the floating foot, the ninja would walk entirely on the tips of their toes, with neither the heel or full foot touching the floor. This was perfect for moving close to an opponent silently but required practise and strength in the toes to utilise effectively. The walk of the fox known as the kitsune-bashiri was similar to the dog walk, with the ninja keeping a low stance. However, the kitsune-bashiri was much more of a fast movement, with the ninja walking on all fours, but this on the tips of the feet and fingers. Much more difficult to master, the fox walk was however much quicker once mastered and of course allowed the ninja to keep their height low. To walk in the Yoko-bashiri style, a ninja would place their back against a wall or fence. With the legs and arms in the star position, the ninja would cross both moving to he side and back to the star position. The inu-bashiri was essentially to walk like a dog on all fours. The ninja would move forward with their knees almost fully bend, and their back leaning forward from 45 degrees to more. This stealth move made it easy for the ninja to spread their weight across four points and was useful when the ninja needed to keep their height low. Ninja warriors practising their stealth walking techniques. To utilise the most silent, and most difficult method of moving stealthily was to do the shin-so-toh-ho also known as the deep grass rabbit walk. The ninja would in a crouched position, place the balls of their feet on the top of their hands, walking effectively on the palms of their hands. Hard to master, and not a fast method of movement the shin-so-toh-ho would require much practise before a ninja was truly at ease using this technique. Of course, not only did the ninja practise many techniques to ensure their exploits went unnoticed, they also ensured that their clothing was an asset to their stealth. The Zouri were special sandals designed for maximum silence and stealth. The Zouri were made from a soft cotton under soles, and upper soles made from rope. The shozoku was the name sometimes attributed to the complete outfit worn by the ninja. Of course it was comprised of many pieces, including the Uwagi, jacket and the Hakama, the trousers. These would cover the main bulk of the ninja but the real icing on the cake in the ninja outfit was the smaller pieces of clothing. To aid their ability to appear invisible or allow them to hide easier, the ninja wore a few items that were essential for maximizing their stealth. The Zukin and Fukumen covered the ninja’s head, leaving only the smallest window for their eyes so the ninja could operate effectively. The Tekoh or ninja gloves again covered a critical part of the ninja’s body the hands. Without the tekoh the skin of a ninja would have been obvious at night when operating weapons or tools. 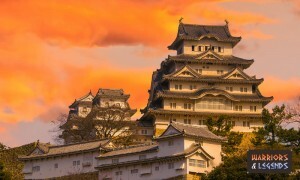 A Japanese property that was typical of the type a ninja might have to try and enter on a mission. Of course, stealth was a key component in the ninja skill set. The ninja would have to practise to achieve skill in these techniques, with many of the walking techniques like the Shin-so-toh-ho requiring many hours of practise. In the heat of a dangerous mission, these techniques would pay dividends however, allowing the ninja to keep their mystique and remain the silent assassins they might need to be.